What Can Cause Vertigo and How to Prevent It? What Kind of Jobs Can Cause Vertigo? The journal Frontiers in Neurology has just printed a study by scientists from Baylor College of Medicine and Rice University that shows specific job types can cause vertigo and dizziness. And it’s caused by a weird pressure in the job impacts to your ears. Pressure you may never have realized you’re under. If you have ever heard a military airplane break the sound barrier near your house, you know that it is not the loudness of the sound that is the problem, but rather the intense sensation of movement and disorientation that follows it. Those are the effects of extremely high atmospheric pressure caused by an explosion. The American scientists subjected mice to a 63 kPa blast wave, which can also be expressed as approximately nine pounds of pressure per square inch, a blast that can severely damage concrete buildings or even bring them down. They then examined the ears of these mice to see precisely what the consequences were. They found perforations in their tympanic membranes (or eardrums), the membrane that separate the outer from the middle ear. They also found damage to the hair cells in the cristae and maculae, two parts of the middle ear. These hair cells are the main vibration (sound) receptors in the ear, and the scientists judged that this damage in the mice was probably permanent. When they placed the mice on a rotating rod on which they could normally remain standing upright, the mice could suddenly no longer balance on it anymore, an effect that lasted for weeks. This probably happened because they felt dizzy. The eye movements normally triggered by head movements were also disrupted. If you turn your head, your eyes moved to stabilize the images you see, but this no longer happened in the mice; an almost certain sign of vertigo. But you don’t have to be exposed to military planes to experience explosions and the consequent damage to your ears and balance. If you ever worked in mining or quarrying, you will almost certainly encountered explosions when you need to break through rock. Other people have to design and dispose of explosives for industrial, engineering, and construction use. It’s even possible that close encounter to trains or other loud noises could do the same damage to your balance system and cause vertigo. 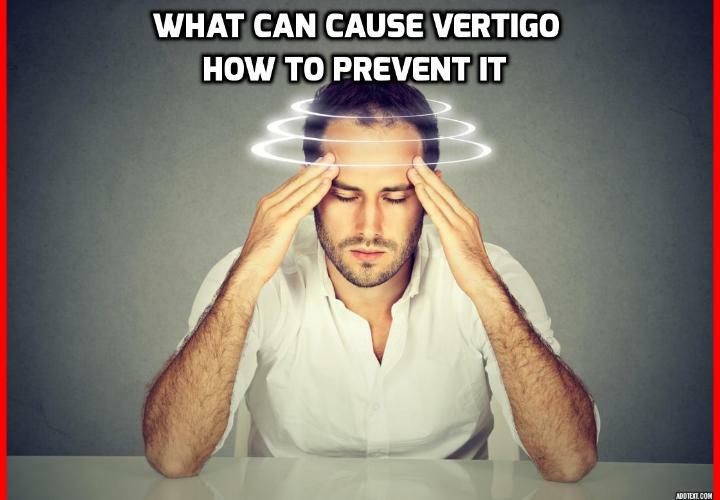 What Is Vertigo & Why Do We Get It? What are the Signs and Symptoms of High Stroke Risk? Previous PostPrevious What Do the Brains of Vertigo Sufferers Look Like? Next PostNext What is the Best Way to Heal Vertigo?